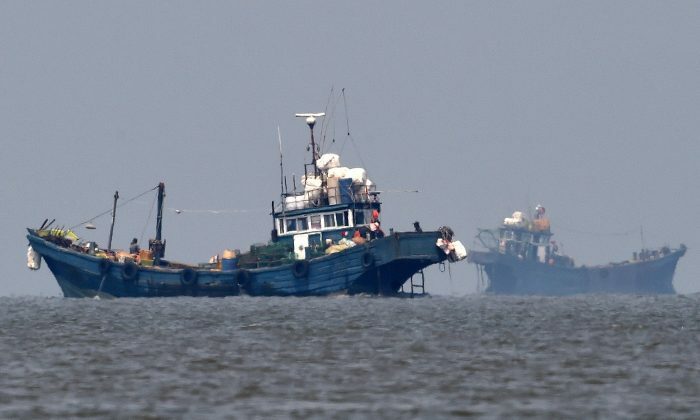 BUENOS AIRES–Argentina has issued an international capture order for five Chinese boats it says were illegally fishing in its waters, the coast guard said in a statement on Thursday, following a failed attempt to detain one of the boats at sea. Federal Judge Eva Parcio de Seleme approved the order to capture the Jing Yuan 626, which the coast guard detected on Feb. 21 allegedly fishing illegally in Argentina’s exclusive economic zone off the Patagonian coast. An Argentine coast guard vessel pursued the boat and fired warning shots, but it said four other boats tried to collide with its vessel to prevent the Jing Yuan from being captured. The Foreign Ministry called off the operation after eight hours. Argentina’s coast is rich in squid, hake and prawns. China has the world’s largest and farthest-ranging fishing operation, with 2,500 vessels logging approximately 17 million hours of fishing in 2016, mostly off the southern coast of their home country but also in Africa and South America. 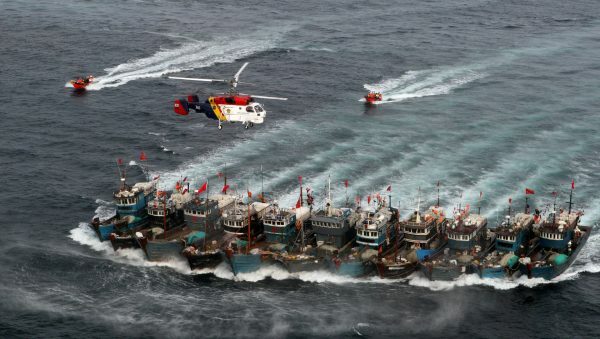 A picture taken on Nov. 16, 2011 from a South Korean helicopter shows Chinese boats banded together with ropes, chased by a coastguard helicopter and rubber boats pacted with commandoes, after alleged illegal fishing in South Korean waters in the Yellow Sea off the southwestern coast county of Buan. South Korea’s coastguard mobilised 12 ships, four helicopters and commandoes for a special three-day crackdown on illegal fishing by Chinese boats this week.